Oh my these are good! So good in fact, that Bells can't have any. Preheat the oven to fan 100C/ conventional 110C/gas 1⁄4. Line 2 baking sheets with Bake-O-Glide non-stick liner or parchment paper (meringue can stick on greaseproof paper and foil). Tip the egg whites into a large clean mixing bowl (not plastic). Beat them on medium speed with an electric hand whisk until the mixture resembles a fluffy cloud and stands up in stiff peaks when the blades are lifted. Now turn the speed up and start to add the caster sugar, a dessertspoonful at a time. Continue beating for 3-4 seconds between each addition. It's important to add the sugar slowly at this stage as it helps prevent the meringue from weeping later. However, don't over-beat. When ready, the mixture should be thick and glossy. Sift a third of the icing sugar over the mixture, then gently fold it in with a big metal spoon or rubber spatula. Continue to sift and fold in the icing sugar a third at a time. Again, don't over-mix. The mixture should now look smooth and billowy, almost like a snow drift. Scoop up a heaped dessertspoonful of the mixture. Using another dessertspoon, ease it on to the baking sheet to make an oval shape (pic 3). Or just drop them in rough rounds, if you prefer. Bake for 1 1⁄2-1 3⁄4 hours in a fan oven, 1 1⁄4 hours in a conventional or gas oven, until the meringues sound crisp when tapped underneath and are a pale coffee colour. Leave to cool on the trays or a cooling rack. (The meringues will now keep in an airtight tin for up to 2 weeks, or frozen for a month.) 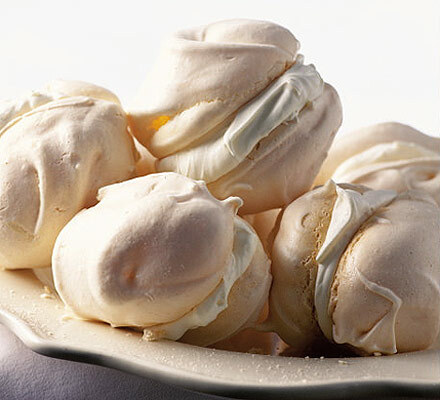 Serve two meringues sandwiched together with a generous dollop of softly whipped double cream. Last Thursday was the day when I got Nessie 3 years ago. create Twiham and Twilight & all things nice. of all the lovely photos that I had taken of Nessie. Always & 4 Forever in Hammie Heaven! Here she is munching away, enjoying the day as it goes past. "What is that sound??" said Bells, curiously. Seeing as it was a Sunday. to actually play a game. Well, I think I'm asking that same question to myself. "We are going to play 'Hide & Seek'. I hide and you can try and look for me" said Bells, with a smile on her little face. So, here I am, counting away until Bells starts scurrying around in her cage. "Ready or not! 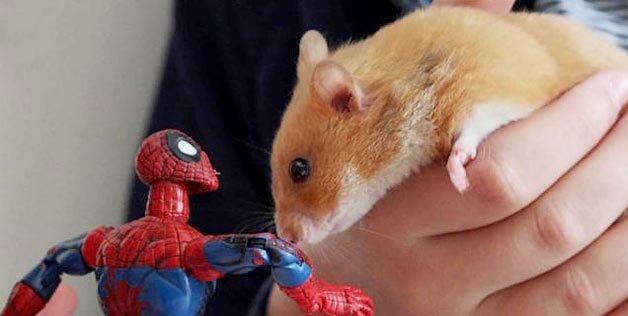 Here, I am..."
What a poor hamster to swallow a magnet! "A HAPLESS hamster needed super powers when she got stuck to her metal cage — after chomping on a magnet from a Spider-Man toy."